The Decorilla team is lucky enough to work with top designers from San Francisco and around the country. We pride ourselves in working with the cream of the crop, but we also work hard to scout out the one’s to watch. We try not to have favorites, but we really admire the following Bay Area interior designers and their fresh designs. 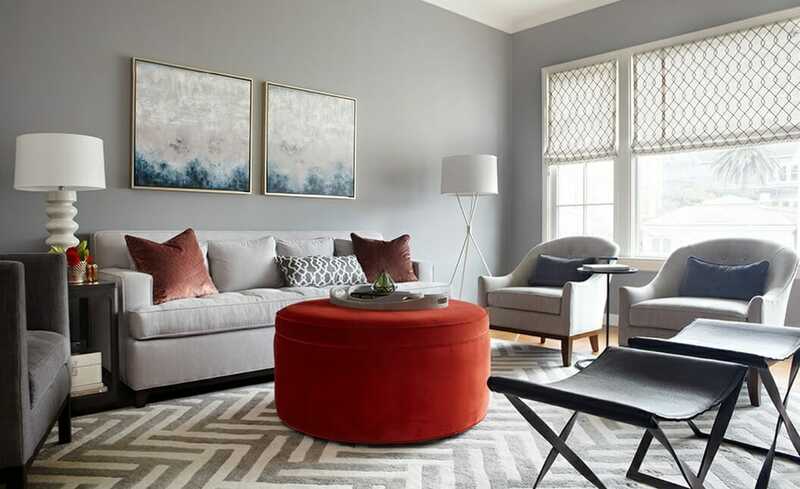 Looking for the top San Francisco interior designers? Well here’s our list, hand-selected by the Decorilla team! Described as having a fresh approach, Grant K. Gibson’s designs are livable and easy on the eyes. The philosophy: “a home is the ultimate reflection of personality.” His San Francisco based interior design company gets project requests nation-wide, and is known for its classic spaces that are not only beautiful, but functional. His personal blog shares design inspiration as well as pieces on travel, food, and lifestyle. EXPERTISE: unrivaled attention to detail and client service. Julie Rootes’ design style is heavily influenced by her background in fashion, Texas upbringing, and role as a mom of three. The designer’s boutique firm offers San Francisco interior design help that creates elegant and highly functional spaces for both homes and businesses. Their designs stand out by mixing an aesthetic of California chic and Southern charm. EXPERTISE: Infusion of interiors with pops of color, bold prints, and custom details. Christine Martin is an up-and-coming designer who draws inspiration from the places she’s visited – the terrain, the colors, the patterns of local textiles. She’s lived overseas for many years, collecting design trends from other cultures, but is now based in the Bay Area where she works to fuse those trends into spaces that are functional in everyday life. Out of all the designers on this list, Christine nets out to be the most affordable, but with a talent and fresh perspective to match the best of the best. Her works has been featured on Design Milk, Wayfair, and The Nest. EXPERTISE: Creating comfortable, tranquil environments in small city spaces. Crisp. Fresh. Lush. Pop! Emile Munroe brings energetic words to life through playful uses of color and pattern in her interiors. By personalizing each project to suit her client’s style and needs, Emile’s spaces cater to each person’s unique lifestyle. She works with a hand-selected team of craftsmen, artists and installers to make her final product a true work of art. Sustainability is in, and Niche Interiors valued its importance years before the hype. Jennifer Jones, a California native, inspired the future of interior design toward eco-friendliness through social consciousness when she launched the company in 2007. Spotted in California Home + Design, HGTV Magazine, and most recently on The Ellen DeGeneres Show, her team works to create homes that are healthy for both clients and the environment. EXPERTISE: Linking design with community development (like re-designing a hospital treatment room for Rooms that Rock for Chemo, a local non-profit organization). With 20 years of design experience, Kendall Wilkinson is a well-known name among the top San Francisco interior designers. Her residential projects range from modern to traditional, always showcasing an air of sophistication and a touch of glam. She’s been seen in leading design and lifestyle publications including ELLE DECOR, LUXE magazine, and the San Francisco Chronicle. Kendall speaks to the social and cultural climate of her city by focusing on creating “Healthy Homes” where sustainability and green-living are prioritized. EXPERTISE: Mixing authenticity and contemporary design in an artful way to speak to client’s aesthetic preferences. Drawing inspiration from architecture, culture, nature and fashion, SoYoung Mack’s designs balance color, light, and style. Through her rich life experiences and vast travels, SoYoung offer her spaces an intuitive sensibility that reflects the aesthetics and functional needs of her clients. Her professional work as designer for George Lucas and as a consultant for Ethan Allen Global makes her one of the top San Francisco interior designers. EXPERTISE: Offering full service interior design help including CAD construction and fine art acquisition. And that’s our list! Seeking the right designer for your home and office is no small task. With a list like this, finding exceptional San Francisco interior design help will be a piece of cake!